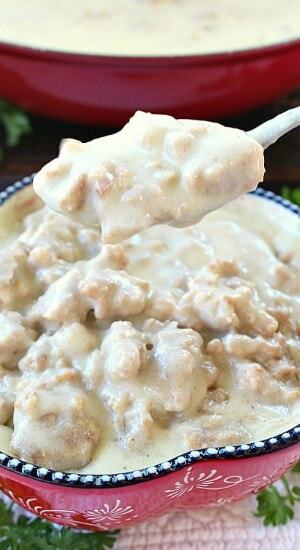 Homemade sausage gravy is comfort food at it’s best! 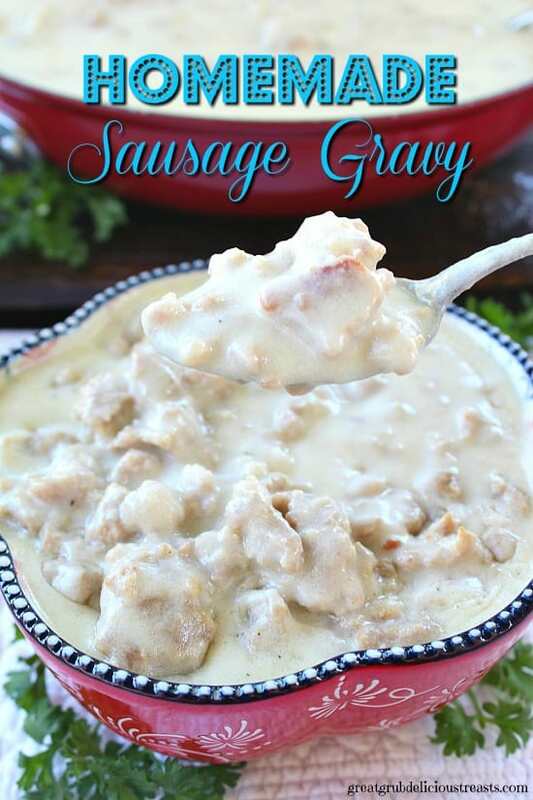 This sausage gravy is loaded with spicy sausage and delicious flavor. 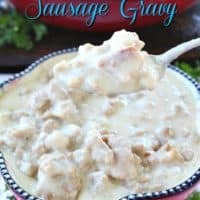 The creaminess of the gravy, loaded with the sausage, makes for an amazing breakfast meal spooned over warm, tasty biscuits. 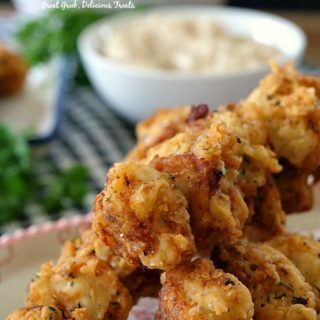 Growing up and learning to cook, making gravy seemed so hard but it’s super easy. 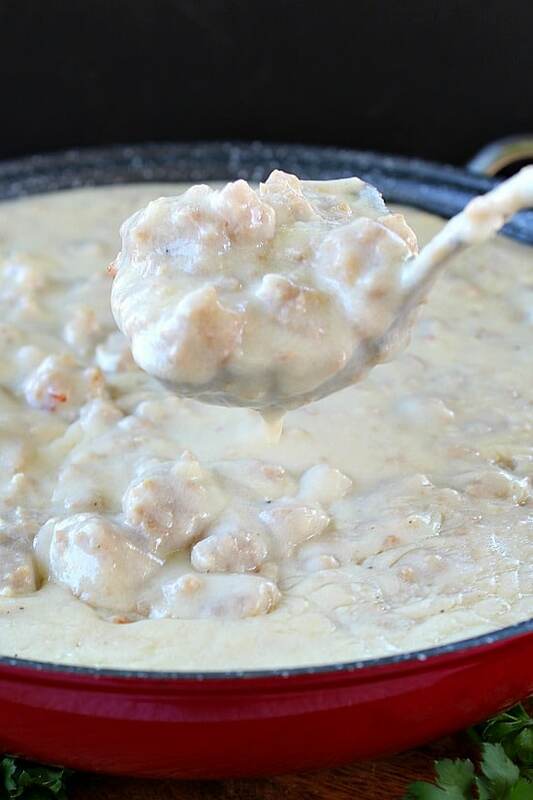 I’m serious, making homemade sausage gravy is super simple. Basically, fry up the sausage, add butter (a new addition to my gravy), sprinkle the sausage with flour, add milk and seasoning and that’s it. Seem simple enough? It really is that simple and the taste is amazing. Whenever I make homemade sausage gravy I always double the recipe. 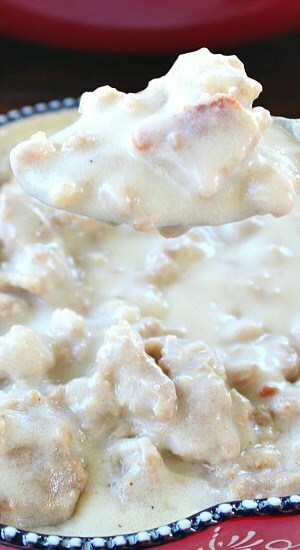 We absolutely LOVE sausage gravy and having leftovers for another meal is why I always cook such large amounts. 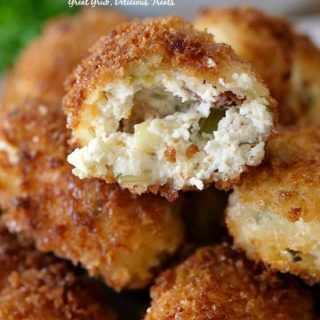 If you are one who only needs a small amount, just divide the recipe accordingly, and if you need more for a large group, double the recipe and you should have plenty. 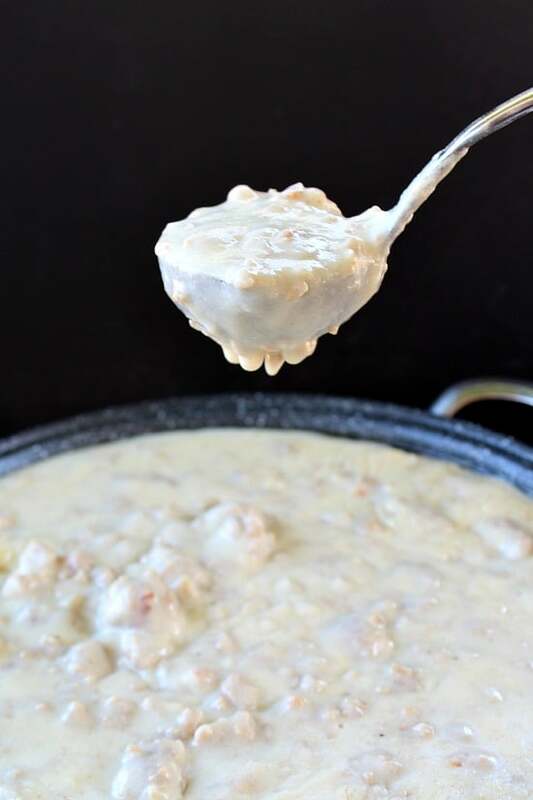 Imagine having some homemade spicy cheesy biscuits with a dab of butter, then topped with this homemade sausage gravy… DELISH! I’ll be posting my recipe for homemade spicy cheesy biscuits soon. Yum! 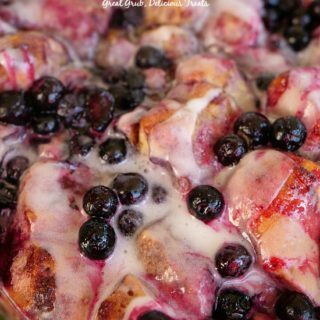 This recipe is adapted from Mary, over at the Deep South Dish. Adding butter was something new for me when making gravy. 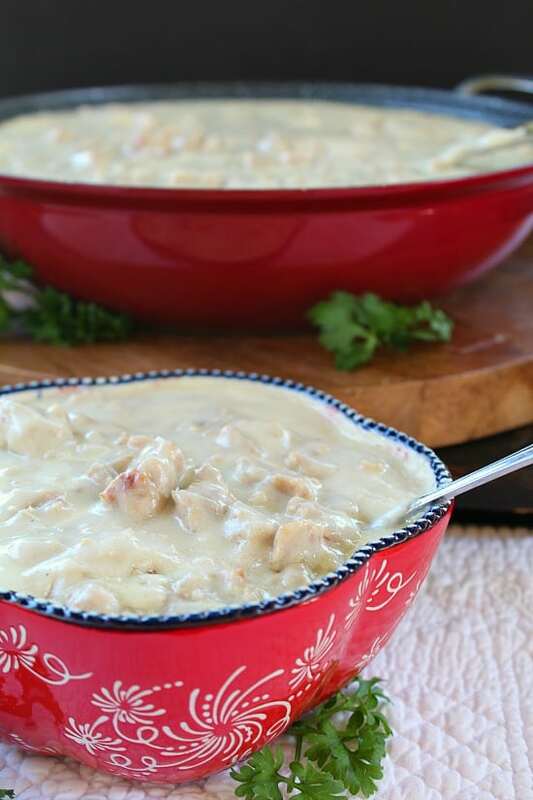 The addition of the butter made this homemade sausage gravy even more delicious. 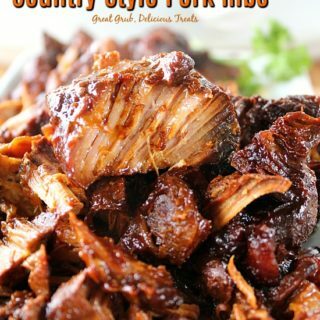 Make sure to head on over to deepsouthdish.com and check out all of her amazing southern style recipes. 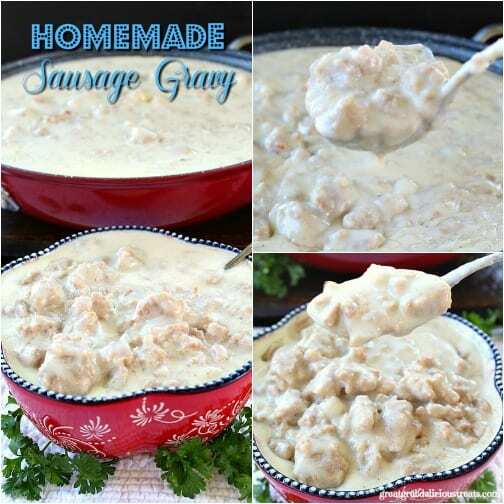 Are you ready to make your own homemade sausage gravy? Also, if you do not like spicy food, you can leave out the cayenne pepper and buy regular sausage instead of the spicy brand and still have an amazing homemade sausage gravy. Heat large frying pan over medium heat. 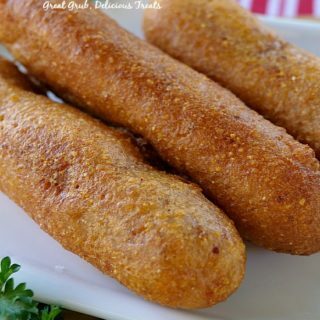 Sprinkle sausage with flour and stir. Let cook for a few minutes. Slowly pour milk into sausage, stirring constantly until gravy comes to a gentle boil, then cook, stirring occasionally, until thickened to desired consistency. Add salt, pepper and seasonings to gravy. Stir well. 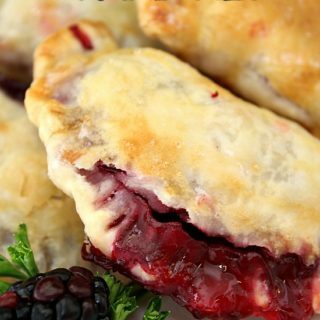 Serve hot over homemade biscuits.